Kona, here I come! 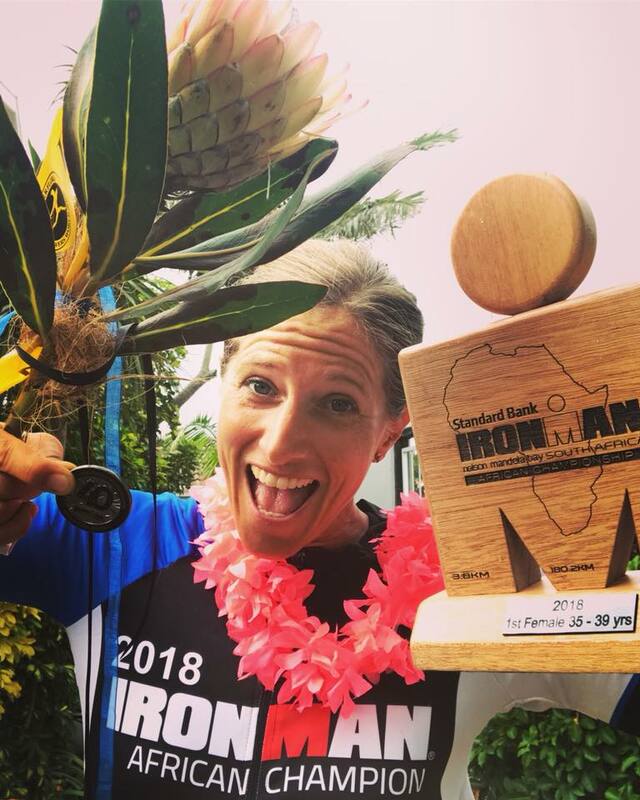 Rocking Ironman South Africa 2018..
it feels like a pretty big triumph to cross that finish line as the first female in my AG. ready to go to bed at the same time as the children. I have been tired, I have been happy, I have had a crisis and I have been flying. During the tough moments, I have asked myself “why”. completely revolves around when preparing for this one performance. Why? line as the AG winner. would call it a very bad day if one came by, and it came by for me! swim, without seeing one single shark. Lucky me! the bike, go a bit slowly, and save some power to push it on the run. no problems at all, from either my legs or stomach and especially not my mind. marathon so far, a PB by 3 minutes and 18 seconds. Time 3 hrs. 22 min, 57 sec. people. I had a blast, spending time with you. All very inspiring people.